The cosmos has contacted John Elderkin with an urgent dispatch from David Bowie's alien alter ego Ziggy Stardust. It's a message so earth-shattering that Elderkin is compelled to share it. Once he broadcasts it via giant megaphone from the surface of the moon, an age of universal understanding will ensue. 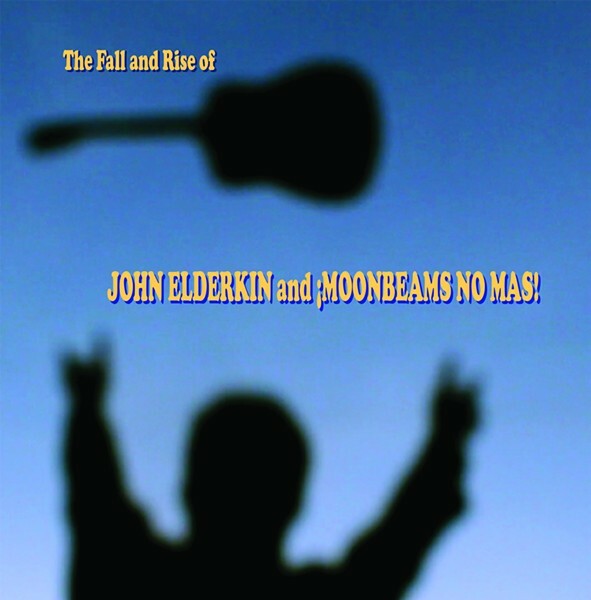 The Fall and Rise of John Elderkin and ¡Moonbeams No Mas! Elderkin chuckles with delight whenever he shares the premise of his new album, The Fall and Rise of John Elderkin and ¡Moonbeams No Mas! Recorded at Charlotte's Old House Studio with local producer Chris Garges and a host of Queen City musicians including Jay Garrigan, Dan Hood and Troy Conn, the project is a sort of homecoming for Elderkin. Growing up near Cotswold in Charlotte, Elderkin attended West Charlotte High School, where he started playing in bands. He's gigged and bounced around ever since, playing with Chapel Hill jangle rockers the Popes and D.C. alternative band the Public Good. Three years ago he moved back to North Carolina and reconnected with Garges to bring the world the sequel to Ziggy Stardust it didn't know it needed. With The Fall and Rise of John Elderkin slated for a listening party at Evening Muse on Sunday, Feb. 19, Creative Loafing talked with Elderkin about rock operas, the universe and how not to sound like David Bowie. Creative Loafing: Why a Ziggy sequel? Elderkin: Eight or 10 years ago when the [music] industry started to collapse, I began to wonder about the rationale for putting out an album. Why put out 10 or 12 songs when people are moving to playlists and downloads? So I started focusing on doing a narrative arc, with the idea of songs being like chapters in a book. The reason I went for a Bowie sequel is that every time that crosses my path, it makes me laugh. I'm delighted by it. Ziggy Stardust is such a happy experience for people who know it. So I thought, "I want to do that!" There are nods all the way through the album to David Bowie, but I didn't want anything more than a nod. How interesting would it be if it was just some dude trying to sound like David Bowie? Chris Garges of Oldhouse Studios was an equal partner on this project. The only thing we ever talked about in terms of sound is that sometimes something would sound a little too Bowie-esque, and we would cut that. I thought I picked up on some late-'70s inspirations. Is it just me? It's funny that you say that because I think that's exactly what Chris was going for with the drum sound. If you listen to "Song For David Bowie," it's got a real 1970s thing going. I had never relied on acoustic guitar as much as I did on this project. I had always played loud rhythm electric guitars. All that acoustic guitar playing drove the album, and I think that gives it that late 1970s vibe. How did you hook up with Chris? We have worked together before. My band in D.C., the Public Good, lost its drummer and he filled in. Originally, my idea for this record was that I would record one or two songs in different studios with old friends. I started with Chris, and I immediately picked up on the fact that he totally got it, and he was the guy. So I changed that plan. Chris didn't just help define the musical sound — he's a phenomenal editor, and this is the first time I've ever had anybody sign on and say, "You're going to have to justify every line of lyrics in this thing." He was the story editor in a way that matters to me. He's remarkable. There are several Charlotte musicians on this album. Can you talk about them? I met Dan Hood and Troy Conn through Chris. I'm a big fan of Dan and Troy's guitar playing. Troy also played Theremin. It was so amazing to watch that. Jay Garrigan came in and he was so much fun. He sang and he brought his Jay Garrigan vibe, which kept things lively. I'm a huge fan of Jay and his band the Temperance League. I think they're this area's greatest rock 'n' roll band. This is a rock opera in three acts. Can you outline the story? I start out with myself as a kid in the 1970s thinking that the world was going to end because David Bowie said it would. But the world doesn't end, so years later I'm in a dive bar band, and we get a message from the cosmos that we feel we have to share with the world. The band hits the road, and, as happens with bands, things don't go as planned. Everything falls apart. Finally, Levon the roadie and I take matters into our own hands. 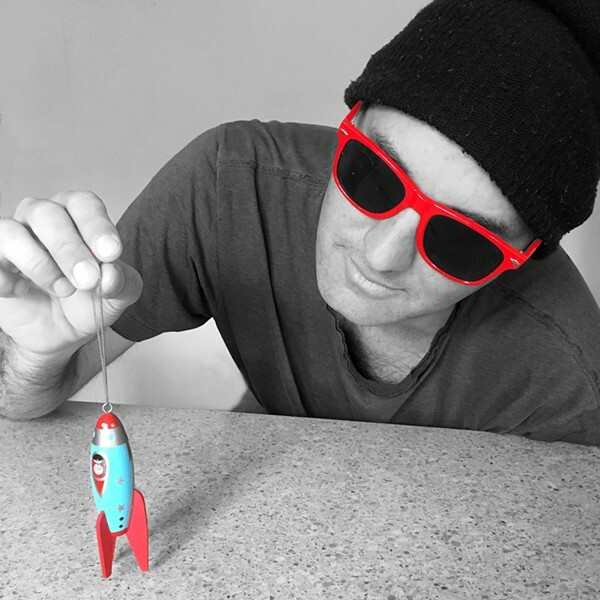 We build a rocket ship to take a megaphone up to the moon and call back down to earth. It's funny. I'm not a big sci-fi guy, but I had a lot of fun with that part of it.